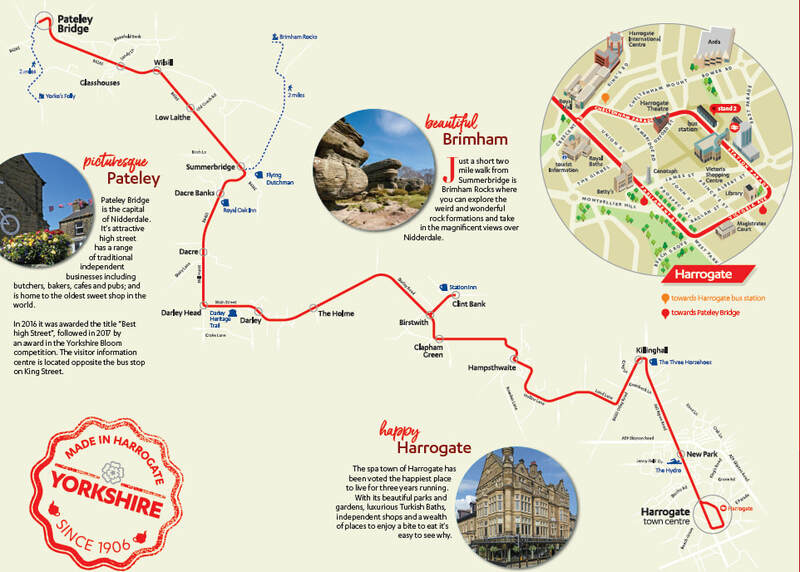 Bus service 24 runs seven days a week between Harrogate and Pateley Bridge, in Nidderdale Area of Outstanding Natural Beauty. The service is operated by the Harrogate Bus Company, with most journeys run by electric buses. together with North Yorkshire County Council, Nidderdale Chamber of Trade, Pateley Bridge Town Council and individual donors.